Welcome to the annual Lion’s Gate (heliacal rise of Sirius), which aligns July 26th through mid-August, with its peak flow during August 8th (8-8), this year opening straight into a total Lunar Eclipse of especially long duration on July 27-28th. This eclipse will give the Moon a reddish hue, referred to as a Blood Moon, with the ‘red planet’ Mars in very close proximity throughout. We have seen and felt the Lion’s Gate galactic light wave flow in slightly ‘ahead of time’ this year, with beautiful Leonine energies streaming in around the Moon and the currently visible planets Venus, Jupiter, Mars and Saturn from July 23rd onward. This ‘early’ flow has been prepared with a particular Venusian focus (see previous post) leading into the upcoming Lunar Eclipse, bathed in the Light of the Lion’s Gate. Since the partial Solar Eclipse of July 13th, Star Family, Solar Beings and many assisting Light Beings have implemented a process of transformation of Martian energies, streaming the sacred geometry of the Venus Rose of Love around Mars, and stabilizing the crystalline light heart of Gaia as we align, open to, anchor and transmit the deep transmutation frequencies of the Lunar Eclipse, dissolving Mars ‘war and trauma imprints’ from the Feminine (depicted as aspects of Divine Mother wielding chaos and destruction, ‘polarity goddesses of love and violence’, in many ancient cultures on Earth). In this eclipse’s transmutation of unbalanced red energies to the most cherishing unified embrace ~ from ‘Blood Moon’ to ‘Rose Moon’ ~ a stream of recoding of Divine Feminine~Masculine wholeness in peace through Gaia’s planetary field and the collective consciousness here (and throughout the Solar System) is giving us a magnificent opportunity to dissolve distortions, unify and merge in blissful harmony within and through our beings, radiating cherishment to all around us in union with this loving planet. The photos below show the key flows in the energy sequence through the last 11 days, leading into this peak Lion’s Gate-Eclipse Shift, beginning with the first deep Venus Rose release of Mars’ lower control matrix on July 15th, 2018. These three photos are in sequence, showing the sky as it appeared around Mars just before Star Family aligned the Venusian Light (with three orbs triangulating above Mars), which swiftly catalyzed an outpouring of distorted energies (second photo), followed by Angelic white light transformation of those energies, while shielding the Earth’s field. Immersed in a wave of orbs filled with many soul emanations and healing energies, Mars went into ‘soft focus’, appearing as a gently rose-coloured ball. It’s incredibly beautiful, this first rapid dissolution and transformation, and the immense flowing of Leonine/Feline Beings on the front of the Lion’s Gate light-wave…which became especially focused around the Moon from July 22nd onward, visualizing in the form of Lyran-Sirian pyramids above the Moon, followed by ‘white lion’ orbs streaming through the lunar portal, clearing and purifying the light vibrations. 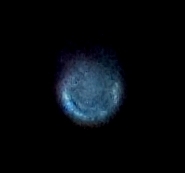 Many leonine faces formed clearly in clouds and orbs, such as this one, showing overlaid ‘Sirian Blue Light’ lions (and friends). Gentle lioness face(s) in the clouds appeared near a blue lightship as it phased across dimensions. The amplified feline energies continue to heighten as this next pulse of the galactic Light Wave glows down the Sirius alignment into the New Earth light-grid, which we can all anchor with Gaia, as souls embodied on this planet. 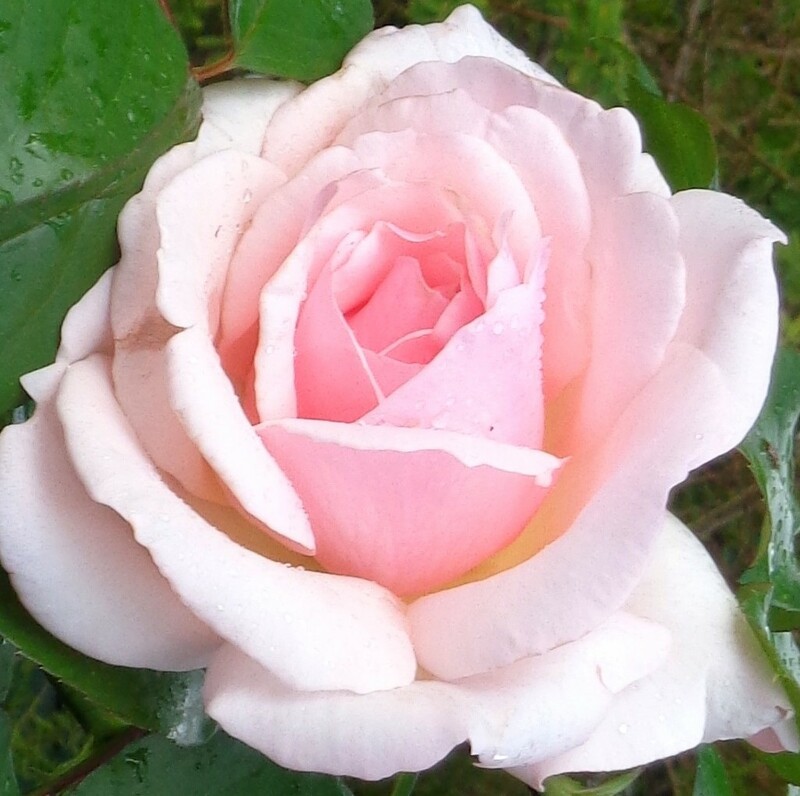 As the wave melds now into the strong Venusian energies, with many lightships and ascended beings assisting, the Eclipse potential is being patiently and lovingly aligned to its optimum, with vibrant rose-gold and diamond light washing the Earth and all beings, through our hearts, our subtle bodies, cells and atoms. There’s a thrill running through the air, and our friends in the skies danced and sparkled here last night, during a clear gap between rainstorms. They share their energies through this series of photos of July 24th, firstly through this ship that flew around Venus and flashed brilliantly before recloaking (the big light above the tree is Venus). Star family were moving back and forth between Venus, Jupiter and the Moon, and the beautiful lightship below flashed between the Moon and Jupiter, directly beneath the star Antares, home of lion, tiger and panther-like beings in the Scorpius constellation who, along with the Sirian lion beings, originated from Lyra and have close loving connections. The Moon fluxed through blue, golden and rose light as its vibration heightened, with the nearby ship also reflecting these colour frequencies. In close up, the ship’s curved shape becomes clear, with large windows and the impression of a blue lion face in the middle of the ship. Take a few slow, deep breaths, relaxing your body, letting go all thoughts. Visualize breathing in golden light which fills your aura, until you are within a ball of steady golden light flowing infinitely from Divine Source. 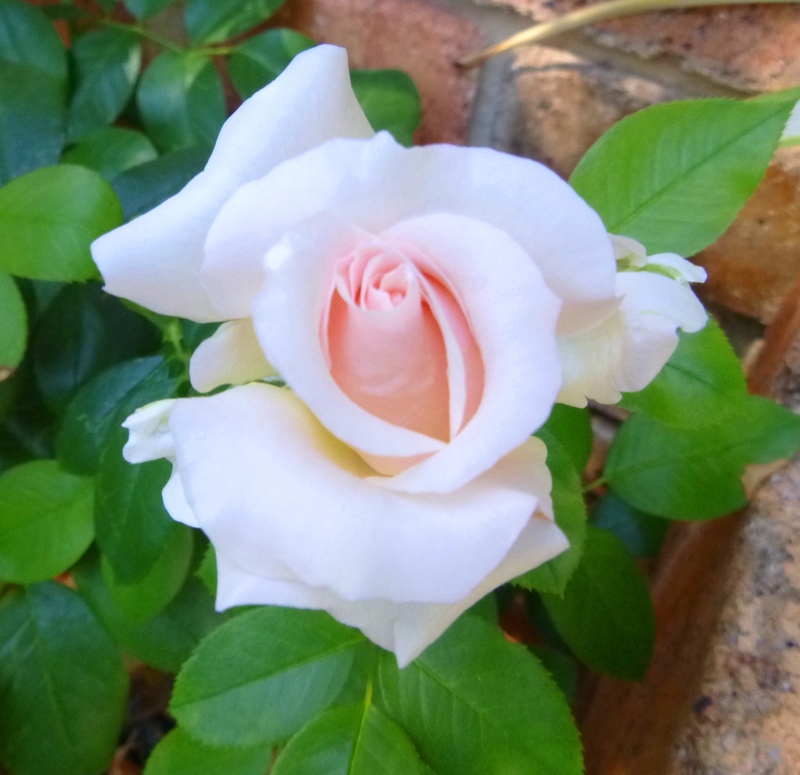 Let a soft rose light form in your Heart centre, its steady warmth radiating through you. Let your Heart fill with Love for all beings, and see the rose light grow deeper as it spreads around you and around the Earth, in unison with all who are focusing with unconditional love through this Lion’s Gate & Eclipse, in union with all assisting Light Beings. 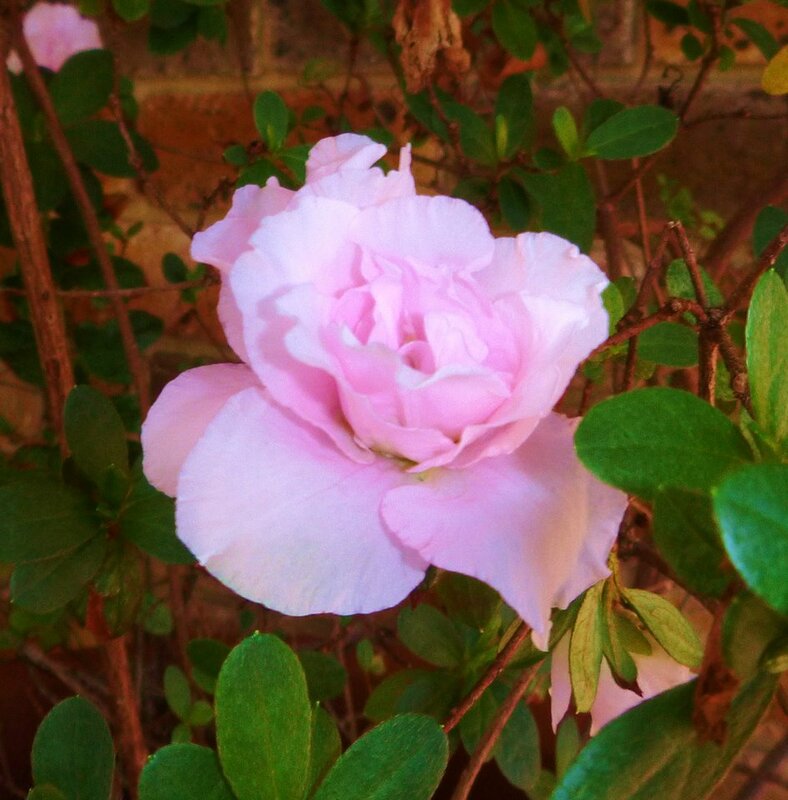 Now see a pink rose in your Heart, brimming with Diamond Light that flows effortlessly through you around the Earth, like a wave of liquid shimmering light. Relax in this immersion of pure Love raising the vibration of humanity and all life here, in strengthening unity with planetary ascension. Know the Oneness is here and now, for all. And So Be It. 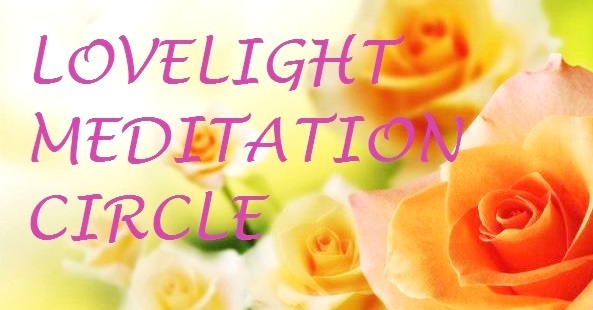 PS: For anyone who would like to join in, we’ll be sharing an Eclipse Meditation on July 27th at the LoveLight Circle. *For more about Lion & Feline Star Beings, see The Winged Lions of Eremor, Antares and the Golden Light of Lyra, and From the Lion Beings. This is a small update before I get into a longer post. It’s also a request to attune to the water element from your Heart Star, which I’ll speak about below, on behalf of the planet and all life. You are probably aware of ongoing Earth movements that have become obvious during the last weeks at the surface level, with numerous earthquakes in Japan and Ecuador, on either side of the Pacific Rim, with many fatalities and injuries. This last week there have also been strong quakes in Vanuatu, the North-eastern Pacific Rise, and indeed the west coast of France, to give an idea of how global the earth shiftings are at present. We send prayers for the departed and all affected, and this includes our human brothers and sisters, and animals, plants and all lifeforms. 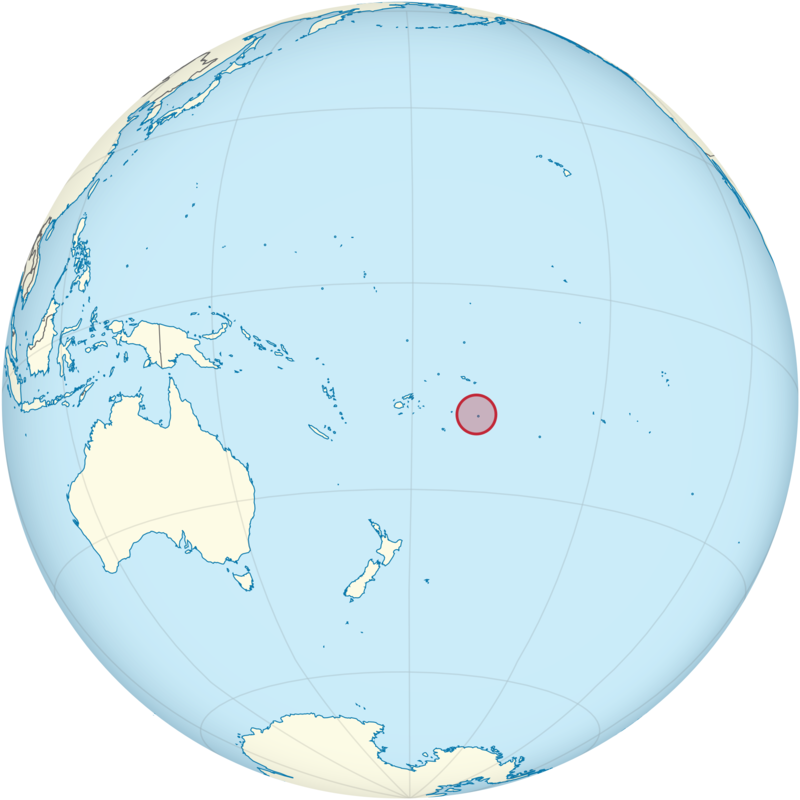 Ashura (my Twin Flame) and I have had a focus during the last week with Niue, an island atoll in the South Pacific, which is known as ‘the rock of the Pacific’. Niue sits in a central position between Fiji, Samoa and Tonga, with Vanuatu to the west, the Cook Islands and Tahiti to the east, and is close to the Tonga Trench, which runs down to New Zealand. Star family have done much stabilization, radiating from Niue, and in other key points, keeping the majority of quakes deep below the ocean bed, and surface movements to a minimum. Having said that, as all energies are interwoven, the intensity of the planet’s shiftings are affected, and increased (or eased) by the human collective ‘mental-emotional output’. And that is where we here as human anchors come in, dear friends, to help ‘ease the tide’. To those who have been focusing love into Gaia’s heart – some of you working through nodes and leylines – be assured that the collective loving flow, for peace and balance, even from a relatively small number, is felt and utilized. To all reading this, any input of pure unconditional love is magnified through the higher dimensional heart grid of this planet. So know that whatever you give in alignment with Gaia, every bit supports the Whole, and all contributions of loving energy and intention help. Connecting through your heart with the heart of Gaia, you can simply send love, or focus it through visualization and sound, which you can find a practice for below. Before that, I’d like to introduce another star family group within the Ashtar Command who are very much involved with steadying the planet, through the water element. 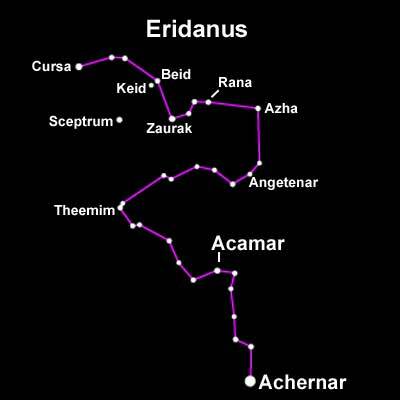 They are specialists of sound-in-water, amphibious beings who come from a planet of the star Acamar, in the constellation Eridanus, the River – in the ‘Heavenly Waters’ region of the galaxy. Then this beautiful golden being appeared at about my eye level, in a photo I took during a rain shower. As you can see, it’s both frog-like and tadpole-like, as if in the moment of transformation as it climbs out of a well of white light, with green around its heart area. Golden being climbing out of a well of light, photo taken April 9th, 2016. 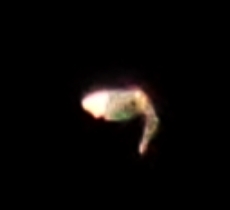 Here’s an orb from the same night, with an Acamarian face inside an angelic protecting ring of light, who has large, prominent eyes spaced well apart, and a wide, smiling mouth. And another orb, from April 25th. 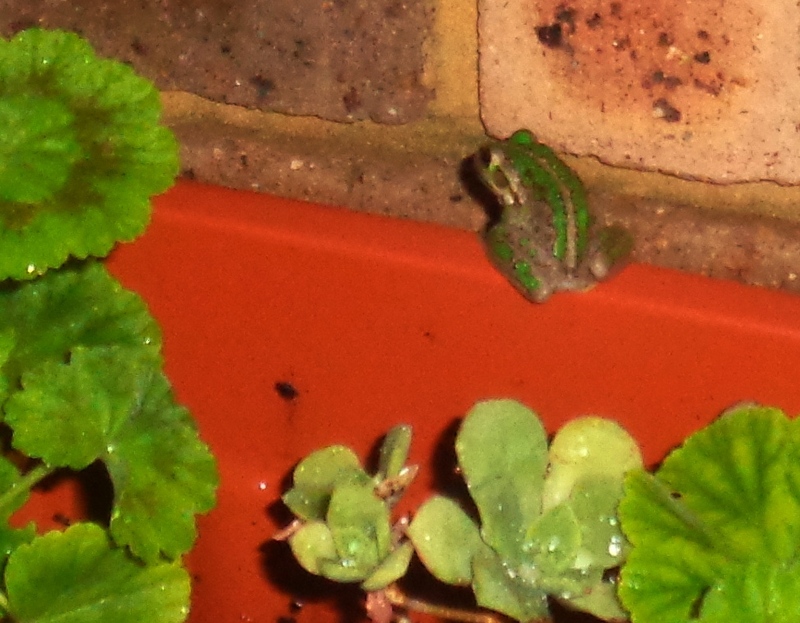 The face showing in this one is more green, but with similar features. The Acamarians work closely with the Cetian, Sirian and Pleiadian Whale beings, Dolphin beings and more humanoid watery beings such as the Tau Cetians). Whale beings provide the ‘watery’ aspect of the ‘sound-frame of creation’ (Leonines express the fire aspect, Carians and Angels the air and ether aspects, from the original whole of the Shimura, which I’ll write about soon). Dolphin and Mer-beings weave the tones, and the Acamarians/amphibious beings have the role of ‘sound engineers’ or technicians. They balance the tones and organize them into patterns that the human ear would hear as rhythms and sequences. If you are familiar with Dr. Emoto’s life-work of showing ‘the memory of water’, the way in which energies focused by intention into water form into crystalline ‘sound-forms’, such as the one below, then imagine our Acamarian friends pulsing love-through-sound in specific sequences, to amplify divine qualities of peace and harmony through the salt crystals in the waters of the oceans, into the crystalline bedrock, and oceanic sands, reefs and corals and lessen the chaotic frequencies that have recently led to multiple quakes and mass coral bleaching events. 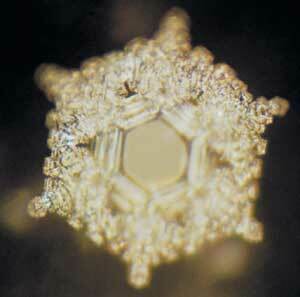 Water exposed to Love and Gratitude forms this ice crystal structure. The beautiful simplicity of his words really fills my heart – the simplicity of Being Present with the sacredness of life, and holding faith with life’s transformative potential in every moment. 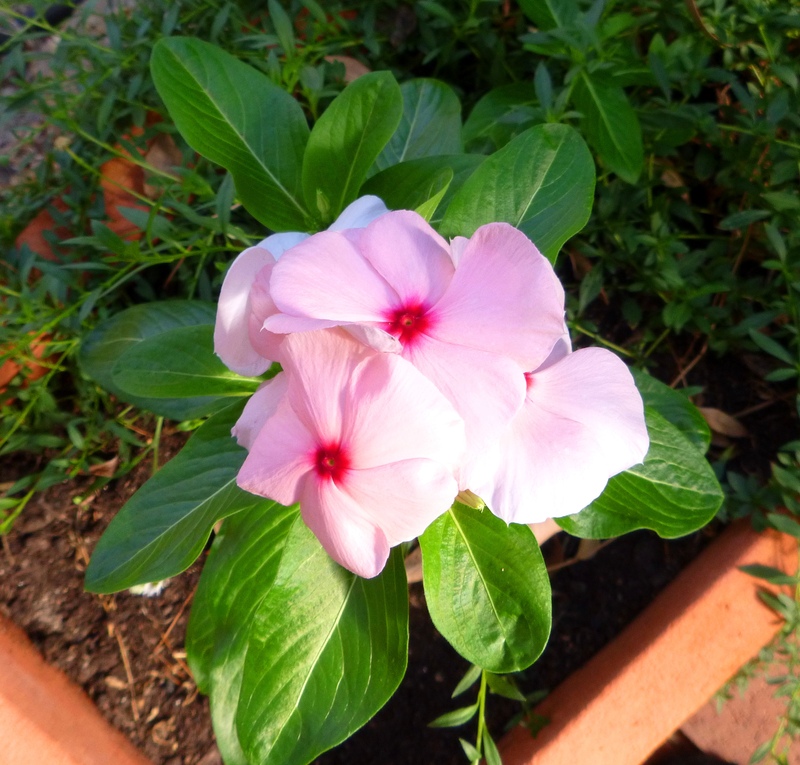 Here is a practice for activating that potential, through your Heart Star. Bring your focus into your heart centre, relax and breathe deeply into it, feeling the rhythm of your breath as One with the rhythm of the tide of Life. Visualize a bright white star or ball of Light in your heart centre. When it is fully bright, let it radiate out through your being, through your physical body, all its water molecules, out through your mental and emotional field, dissolving heavy ‘ego-ized’ energies so you feel free, light and joyful. Then let the white rays of your Heart Star, the imperishable flame of Source within you, radiate out further, through the area where you live. Feel those rays flowing through everything, through the water molecules within the air, plants, animals, humans, in the earth and waterways, and spreading all through and around the Earth, connecting with the crystalline heart of Gaia and flowing through the heart grid, the higher dimensional ‘goldenprint’ of Life. Now gently breathe golden light into your heart centre, and when you have a strong golden ball there, pulse it outward, and feel those pulses ripple around and through the whole planet. If you wish to add sound into the golden flow of light, you can use these universal creation tones: Hu’Aa KuWa. Speak them or sing them as you wish, feeling the tone and pitch your voice naturally goes to, and expresses, within the Whole harmonic range. Hu’Aa KuWa….Creation Sound (Hu) We in our Wholeness (Aa) Gift (Ku) Life (Wa). Feel this Gifting to Life in relation to the offering of Life from Source (as spoken of in the previous post), that which provides, Providence. Hu’Aa KuWa sends the quality of providence into life, so focus it now into the water element, to interweave with the divine tones and ‘sound engineering’ of our star family. A large release of ‘trapped feminine’ energies has taken place, and now we have the opportunity to settle it in through our own beings and around the planet, dissolving ‘the old’ and embracing the KuWa, the energy of providence. May the feminine within us all vessel the highest offering of Life, held in the loving strength and stability of the masculine within us all, merged and whole. May the whole in all life be felt and known as filled with the highest Providence. As we approach the March 21st Equinox, I feel to speak about the Rose (or Pink) Ray, an emanation of the Divine Mother aspect of Source. What is the frequency of the Rose Ray? It is the Sacred Feminine vibration of pure Unconditional Love – softness, tenderness, devotion, nurture for Self and ALL, in the bliss of knowing Self IS Source. It is the vibration of opening to the embrace of the Divine Masculine god aspect of Source, of complete self worth that knows it is Love, and therefore can trust and allow all beauty, power and loving creation to flow in, unimpeded by any limited, judged concept of small self. Can you feel the importance of this Ray at this present stage of the Shift? How it helps open the door in the heart to receive fully your own Essence, which is your Source expression, and *create consciously from that place of full integration*? 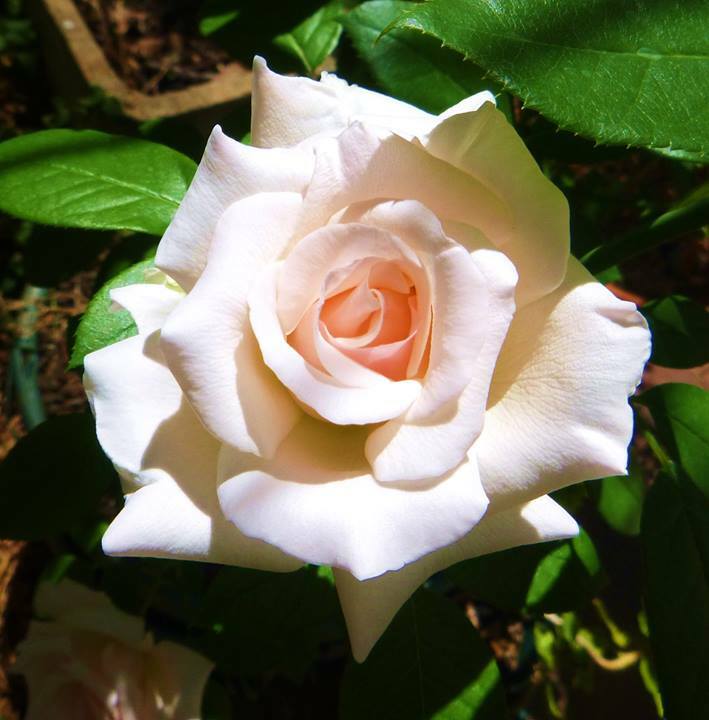 The energies are building rapidly Now toward the Equinox portal, and I feel many souls quietly anchoring the Rose in their Beings, connecting with the Rose at our Mother Gaia’s Core, her heart, to bring through the 5D unity frequency of the New Earth. An ‘Equi-nox’ is a point of equalizing energy, perfect balance: feel it within you and use it well! If you feel unable to access this Ray, or that there are any blockages/resistant old energies attached to the limited 3D idea of self, then remember the Purple Flame of Compassion, and hold it daily, often, in your heart centre….because true compassion and mercy for your whole self, every ‘bit’ of it, puts in place a welcoming ‘nesting place’ for the Rose Ray. (A Purple Flame Activation exercise can be found in the Practices section of this site). 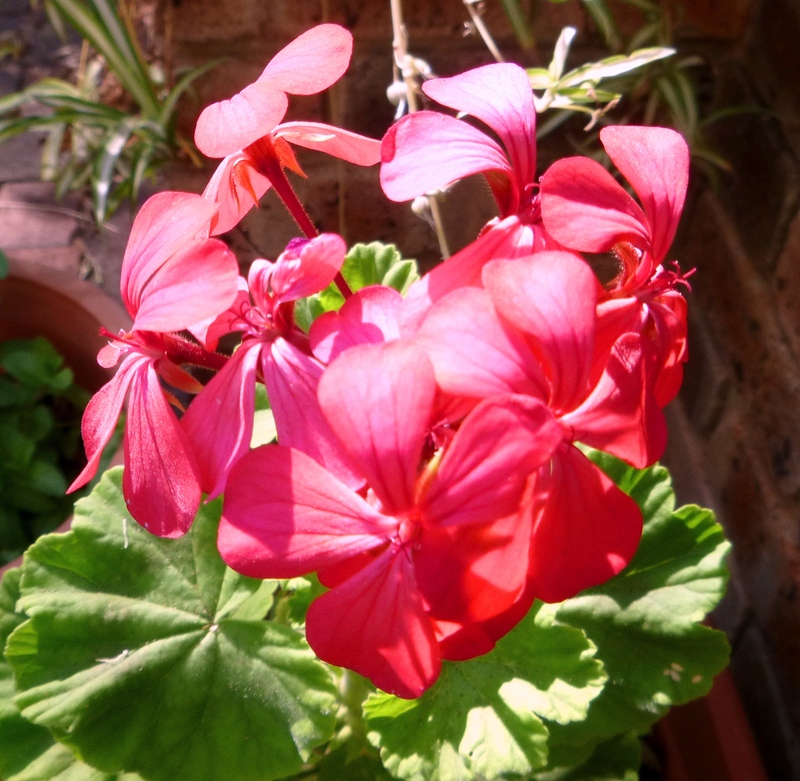 As the Rose/Pink frequencies build (or any other higher frequencies that you are focusing your attention on) take note of the exquisite reflections in your ‘reality’. Appreciation is a powerful energy, and at a deep level settles and dissolves negative ‘stories’. So observe and enjoy every spark of beauty in and around your Self. After all, You are co-creating it! 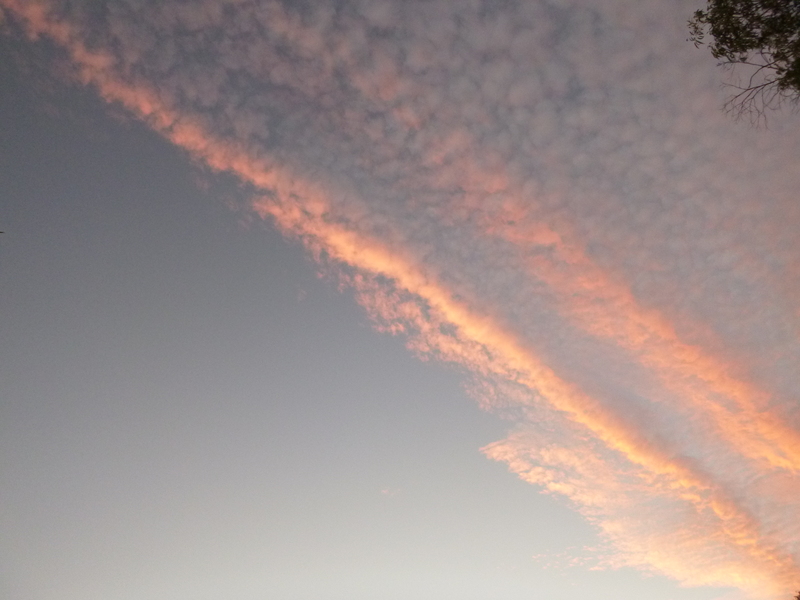 Photo taken March 6, 2014: Twin Rose Flame sprays the sky. Allow all Love IN, dear friends. It is here Now, and streaming in ever higher. Smile at life’s play of contrasts, hold the extremes of the duality drama, whether personal or collective, in an envelope of compassion and love, knowing that peace IS accessible. 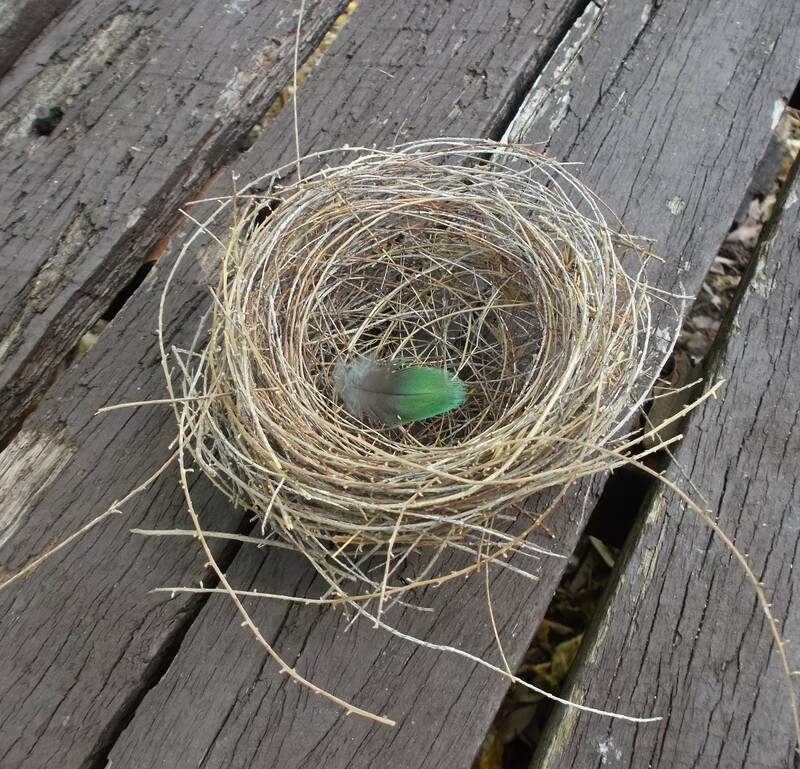 Trust your Self, trust in Source, ride the Wave, and allow Love to stream through the Equinox into the nest you have prepared in your heart. I love you All. Namaste! 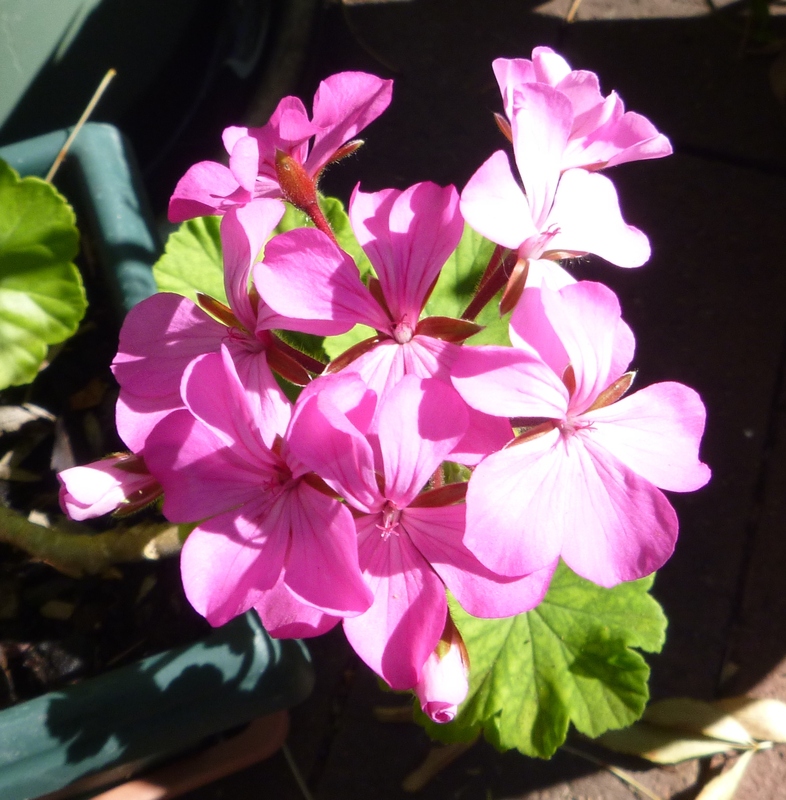 Here are a few more ‘pinks’ from my garden, blooming miraculously in drought conditions at the end of a long dry summer here in southwestern Australia. Let’s see the planet surrounded by the Rose Ray, every heart opening to its energy.